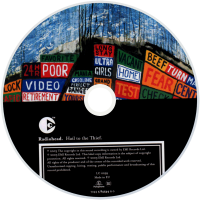 Hail to the Thief (or The Gloaming), usually referred to without its alternative title as simply Hail to the Thief, is the sixth studio album by the English alternative rock band Radiohead. It was produced by Nigel Godrich and released on 9 June 2003. It was the last album released under Radiohead's six-album record contract with Parlophone. 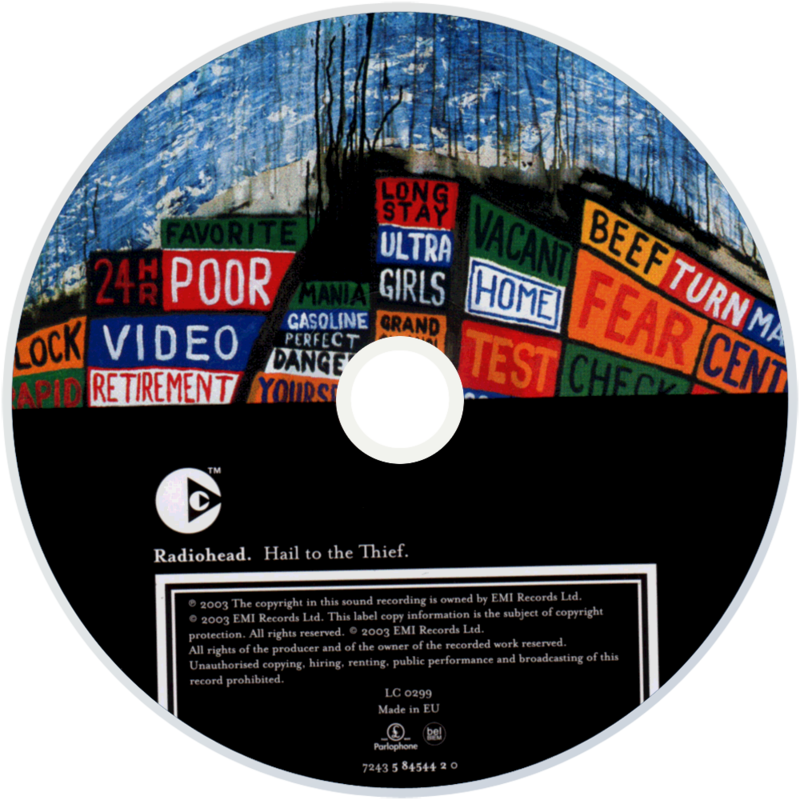 After two Radiohead albums incorporating electronica, jazz and 20th-century classical music influences, Hail to the Thief was seen as a return to a more conventional rock sound while maintaining electronic and jazz elements. Following difficult recording sessions for previous albums, the band worked deliberately quickly, employing a live, "spontaneous" approach, and cited the Beatles, the Pixies, Charlie Mingus, Can, New Order, Tubeway Army and Siouxsie and the Banshees as influences. George Orwell, Dante, and fairy tales influenced the lyrics, much of which were written in response to the "War on Terror" and the subsequent War in Afghanistan. Songwriter and vocalist Thom Yorke said the album addresses "frustration and powerlessness and anger, and the huge gap between the people that put themselves in control and the people that allegedly voted for them." Hail to the Thief debuted at number one in the United Kingdom and at number three in the United States, and produced three charting singles: "There There", "Go to Sleep" and "2 + 2 = 5". It was praised by critics, though many felt it was not Radiohead's strongest work, and it became the fifth consecutive Radiohead album to be nominated for a Grammy Award for Best Alternative Music Album. In 2010, Rolling Stone magazine ranked Hail to the Thief the 89th best album of the 2000s. So here it is at last. The most anticipated album release of the year. Many of you probably became sick of all the incredible hype weeks ago. Those lucky few who've been listening to Hail To The Thief, by fair means or foul, have been ranting and raving for weeks. Annoying the rest of us who have to (or want to) wait until the official release date. They've been foaming at the mouth with excitement; "The Saviours of Rock 'n' Roll return with best album in the world ever!!" and such like. But is it justified? To be honest, I loved OK Computer but was alienated by Kid A and didn't really get into Amnesiac for one reason or another. Hail To The Thief is without question more accessible than its two predecessors. But to say it's a step backwards or disappointing in any way is foolish. Radiohead, the most popular innovative band on the planet, haven't broken any new ground here, as they did with Kid A. This album sees a return to simple song construction. Guitar, drums and keyboards form the backbone of these 14 indie pop songs. "Go To Sleep" and "Where I End and You Begin" are fantastic. Driving guitars attack from all sides, demanding your attention, juddering with impressive force. Yorke's vocals are in fine form here; melancholic and hypnotic. "A Punchup At A Wedding" is sublime. The song rolls effortlessly along taking the listener on a serene journey which also provides subtle amusement along the way: 'You had to piss on our parade, you had to shred our big day...in a drunken punch up at a wedding'. There are still the wonderfully eerie sounds ("The Gloaming") and the computerised electronic bleeps ("Sit Down, Stand Up"). These songs provide evidence that Radiohead are still capable of producing ambitious music which is remarkably enjoyable. Current single "There There" is number four in the charts and the album is about to set up residence at number 1. How do Radiohead maintain their position as the world's most successful, non-mainstream band? Is it because Thom Yorke rarely smiles? And doesn't have a celebrity girlfriend? I suspect it's because they make some of the most amazing, anthemic, inspiring music around today.